Dandruff is pretty common these days. Most of us have experienced dandruff at some point in our life, especially those who are into dancing, swimming, gyming, and other physical activities. This is because we tend to get sweaty all the time. This means we should take good care of our hair and body in order to maintain a healthy scalp, hair, and body. So, what is dandruff? Dandruff is a layer of dry or greasy white flakes of dead skin that appear on the scalp, hair and Shoulders. Most of us know how embarrassing it is to have dandruff. Dandruff is a chronic problem, but it is controllable. Most people with dandruff avoid wearing dark Shades such as Black and navy. What if I told you don’t have to give up on your favourite shades of clothes anymore? What if she got rid of dandruff instead? To find out how to get rid of dandruff and maintain healthy scalp, read the following post. Dandruff can be caused by various factors such as lifestyle and also certain skin conditions such as Eczema and dermatitis, etc. Dandruff can also be caused by environmental issues such as pollution and dust. Certain shampoos and hair products can also cause dandruff if you have sensitive skin. If your lifestyle includes physical activities such as gym regularly, then you will tend to sweat a lot. Therefore, not washing your hair regularly can also cause dandruff. The overgrowth of yeast like fungus can also cause dandruff and hair thinning. Stress hormonal changes and immune system problems can also cause dandruff. This type of dandruff is common amongst teenagers. Early stages of dandruff include flaking of scalp itching and redness. The first sign of dandruff includes itchy scalp. It is important to not scratch your head as this aggregates dandruff. Scratching can also lead to red and itchy scalp and may also cause skin infections. It can also cause excess hair loss. Sometimes the type of shampoo you use and your hair care routine can cause dandruff. If your schedule includes a lot of physical activity such as running and dancing, then you would sweat a lot. This means that you have to wash your hair more often in order to keep it clean, and at the same time, not dry it too much which leads to stripping away the natural moisture. Therefore, in some cases, fixing your hair care routine and using just a natural hair care shampoo can fix your dandruff problem. Finding a natural shampoo can help you deal with your dandruff. Applying a spoon full of lemon juice on your scalp and massaging it for 10 minutes before you rinse your hair can help you in minor cases of dandruff. Lemon juice can also make your hair shiny and strong. Another good choice of getting rid of dandruff is using aspirin. Crushing to aspirins to find powder and adding it to your shampoo can also help you with your dandruff. Aspirin contain salicylic acid and therefore helps fight dandruff. Using aloe vera hair mask is also a great anti dandruff remedy. It is also great at fighting itching sensation. While choosing an antidandruff shampoo to help cure your dandruff condition, make sure you look for the following ingredients mentioned in this section. This section is a guide to choosing the best shampoo for dandruff. Make sure your shampoo includes ketoconazole. Ketoconazole is an antifungal agent. The function of the ketoconazole is to fight against a wide variety of fungi. It is often used when other shampoos fail to fight your dandruff problem. You can ketoconazole anti dandruff shampoo online. Coal tar is another great ingredient in antidandruff shampoos. Some people have a condition where their skin cells die faster than usual and thereby cause dandruff and dry skin. Shampoos containing coal tar can slow down the rate at which skin cells die and flake away. This makes products containing them very effective against dandruff, seborrheic, dermatitis and psoriasis. Shampoos containing coal tar is also one of the best options for light coloured hair. Salicylic acid is a mild acid. Salicylic acid can soften the skin and strip away dead skin cells thereby eradicating dandruff. Shampoo containing salicylic acid is also a great option for an antidandruff shampoo. Make sure you test your shampoo as salicylic acid shampoos can cause more dryness and flaking for some people. Zinc pyrithione is an antibacterial, antifungal agent and it is found in various antidandruff shampoos. It is especially effective or treating dandruff and seborrheic dermatitis caused by malassezia fungi. Ketomac anti dandruff shampoo is usually used as a last resort when other shampoos fail to treat dandruff. Ketomac shampoo is great at controlling dandruff as it contains ketoconazole, which is a broad spectrum synthetic antifungal agent, which helps keep dandruff away and thereby fights hair fall. Ketoconazole works by killing fungi on the skin and thereby keeping your scalp healthy, clean and free of dandruff. The ketomac shampoo can also reduce flaking, scaling and itching and that also relieves inflammation due to dandruff. Always consult your physician before using any of these dandruff shampoos. Using the above tips helps you decode and fight dandruff and hair fall. It is necessary to maintain good and healthy hair to get rid of dandruff. It is also important to adapt to a healthy lifestyle and hair care routine. Make sure to oil your hair three times a week using oils such as coconut oil, olive oil, castor, and almond oil. You can also use essential oils such as lemon grass, lavender, tea tree, and rosemary essential oils in your hair oil. Use hair natural hair masks once or twice a month. 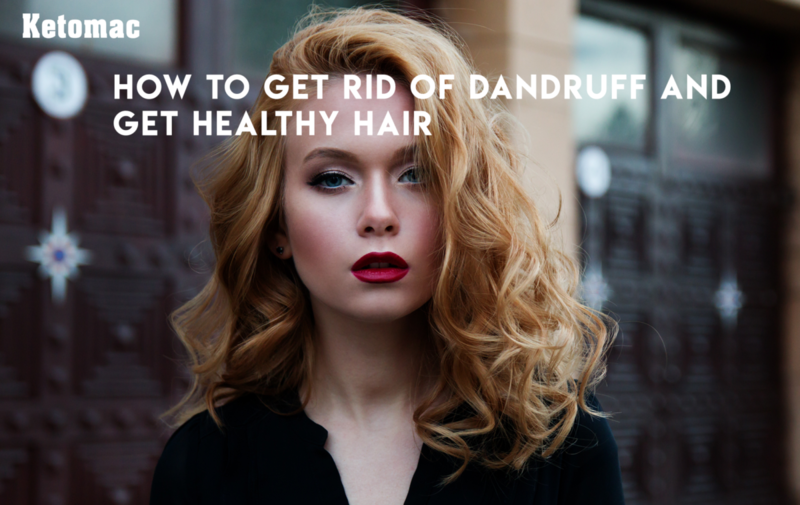 Using these tips can help with your dandruff and give you healthy and strong hair. previousWhy Are Hair Care And Hair Cut Important?